The news came back from the race. 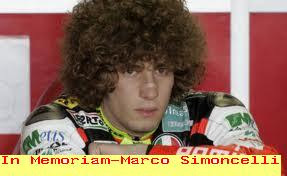 This time the victim was a circuit rider ferociously defending MotoGP Honda Gresini Team, Marco Simoncelli. 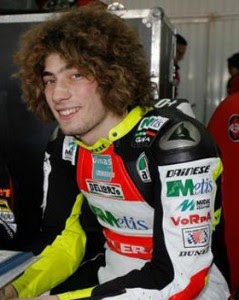 Reported by the BBC, Simoncelli died after suffering serious injuries in the MotoGP series in 2011 at the Sepang Circuit Malaysia, Kuala Lumpur, Sunday, October 23, 2011. He fell when the collided hard with Alvaro Bautista to fight over four positions. 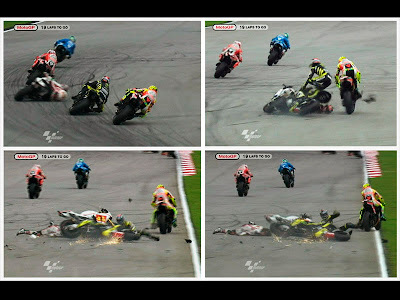 Rider nicknamed the Super Sic lost control in turn 11 and slammed straight into the track. Nahas, her body and then collided with a rider who was behind Colin Edwards, while Valentino Rossi managed to avoid the collision. Edwards also had fallen, but still could rise. Meanwhile, Simoncelli who was not wearing a helmet lying unconscious. Race committee immediately raise a red flag stopped the race mark. In fact, After a while they officially cancel the event on the grounds that the medical team is still focusing handle Simoncelli. 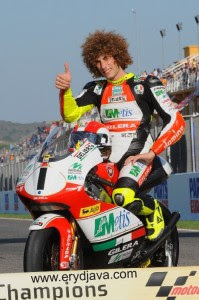 Simoncelli himself immediately rushed to hospital in Kuala Lumpur because of his condition critical. Unfortunately, the move could not save the life of the famous racer with a flamboyant style of his races.